While the F1 has a crisp sounding 3rd harmonic signature, the F2 has a richer pure 2nd harmonic character, and this difference is the primary justification for offering a second no-feedback current source amplifier. Another remarkable thing about the F2 is the very wide bandwidth – it is down about 0.5 dB at 200 Khz. Will it replace your favorite 300B SET? Maybe, maybe not. In any case the only copies are available used. 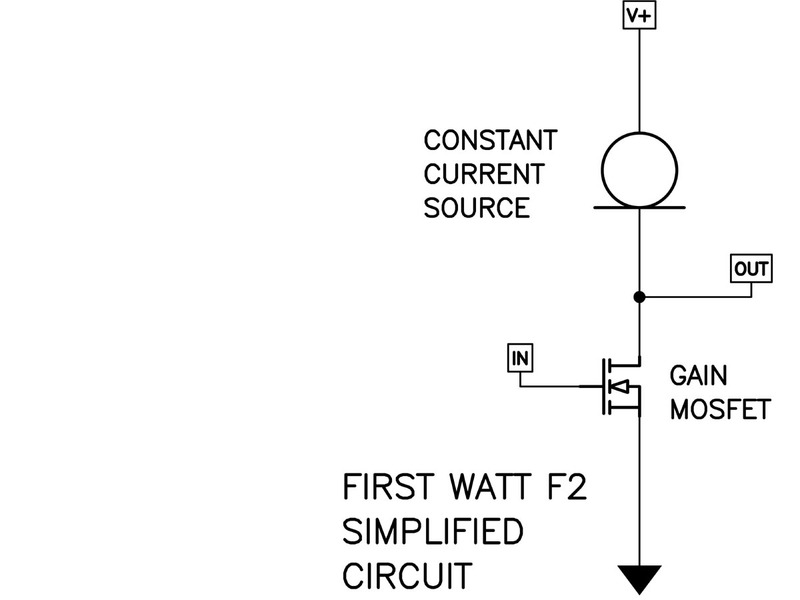 For a short time there are a very few F1J units available which use new power Jfets instead of the Mosfets – see the F2J product page.